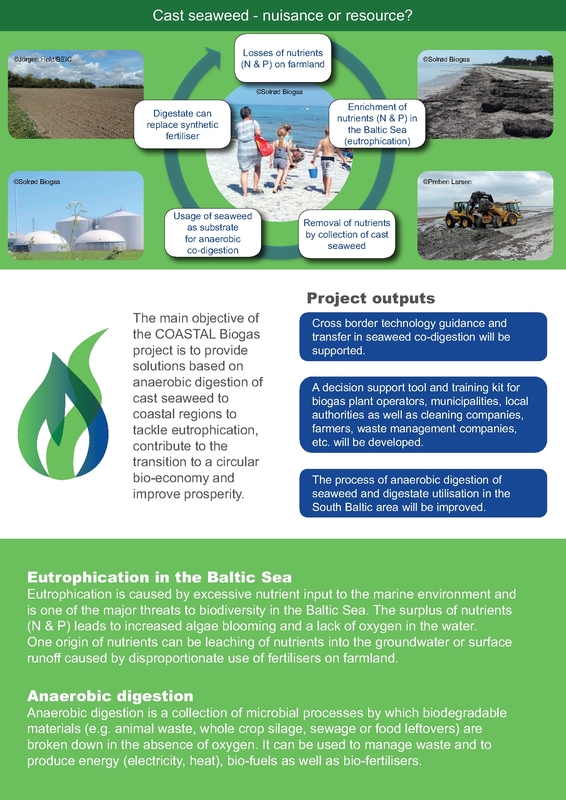 The six page COASTAL Biogas flyer gives a brief description of the project including objective and outputs. If you print it, please note that the flyer should be folded as an envelope (otherwise the text will be upside-down on one of the pages). 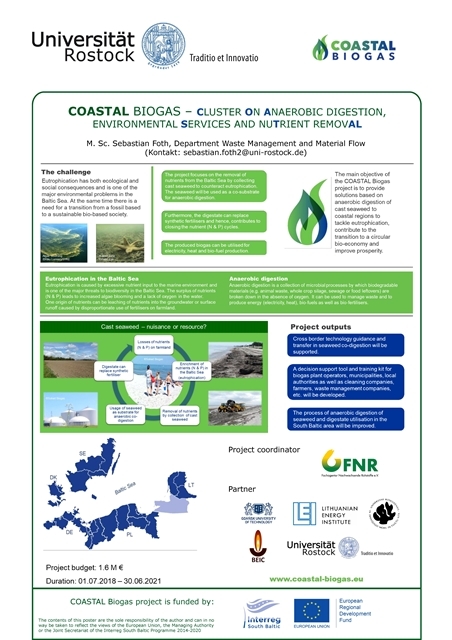 The poster was presented at the event “Landwirtschaft & Gewässerschutz – Optionen am Übergang von Fluss und Land” (Agriculture & Water Protection – options at the transition of river and land) on the 28th of November at the Town Hall of Greifswald, Germany. The event was organised by Grüne Liga e.V.